Using the right kind of diaper can save new parents a lot of stressful situations. It isn’t easy soothing a crying baby in the middle of the night because your child has wet or leaking diapers, and then find the following day that the mattress is now stinking despite changing them just recently. 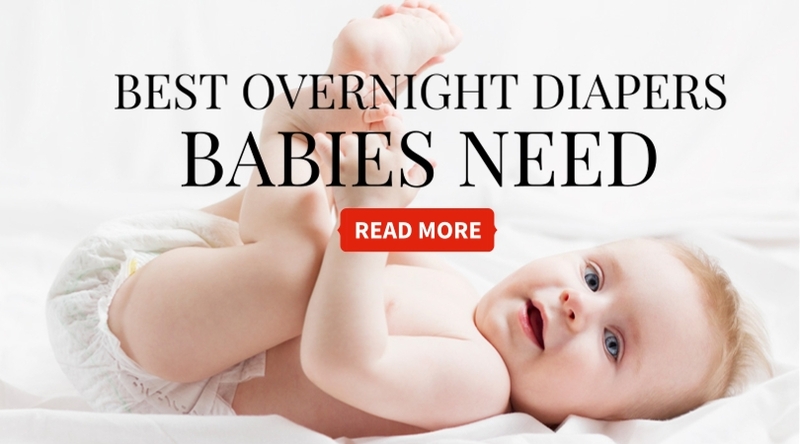 The question is "how do you find or identify the best overnight diapers?" With all the different diapers from various brands that are available out there, this question isn’t easy to answer. But for the parents out there, worry no more, because we will share information on what to look for in choosing the best diaper, and as well as giving you the best overnight diapers to choose from. The first step to take when choosing the right diaper for you is an assessment. You have to assess the needs of the baby and your priorities, and you have to balance both. 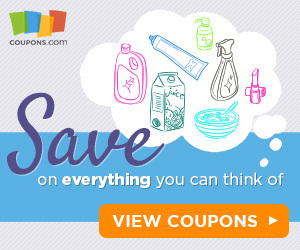 You have to find the best quality diaper at the cost that you can always afford. ​Cloth diapers cost you initially, but they can save you money in the long run if you clean them yourself. Disposable diapers meanwhile are far more convenient, but it will cost you every time. If, however, you want top quality diapers like eco-friendly ones that are biodegradable and are not processed with chemicals, it will cost you even more, but that is your choice. After identifying your needs and resources, you should not be hasty on buying diapers at once and at a bulk. If your baby isn’t born yet, wait for him/her to come out and identify his exact size and weight before buying. Now that we have knowledge on what considerations we must take before buying diapers, let’s now examine the things to look for in a good diaper. The first and most important quality to look for in a diaper is its Absorbency. Absorbency involves how the diaper can keep the liquid away from the baby’s skin, and how much of this liquid it can hold, and for how long. Diapers with poor absorbency keep the baby’s skin wet and damp, resulting in an undesirable diaper rash. Diapers that have good Absorbency usually contains Super Absorbent Polymer (SAP). It is a kind of white powder that is found in a diaper’s core that acts as one of the essential agents of absorption. Leaking usually revolves between the quality and structure of the diaper or its and the baby's size. After measuring the size or weight of your baby, do not depend on the size description on the labels of the diapers because brands have different fits. The Huggies Overnites Diapers prides itself as the number 1 night time diaper based on the night time diaper category sales. It is also the brand’s most absorbent diaper, 25% more absorbent than the second placed, Huggies Snug and Dry Diapers. This diaper is specifically designed for sleep, with its trusted Leak Lock system that can offer protection from leak for 12 hours. It also has Double Grip Strips and SnugFit waistband that secures the diaper on a place, despite your baby’s toss and turn. The particular diaper also has a breathable outer cover and embossed liner that give off space for your baby’s skin to breathe, and make his/her more comfortable. Size 5 HUGGIES OverNites Diapers fit babies and toddlers over 27 lb. Pampers Swaddlers Overnights is designed to handle every night heavy wetness for up to 12 hours. It has several features that keep your baby dry; it has a unique absorb away liner that keeps liquid material away from your baby’s skin. It also has Extra Absorb Channels that distribute this liquid material all throughout the diaper. This particular diaper also has a Wetness Indicator that lets you know if the diaper has become full and needs changing. Additionally, it has a feature called ‘Blankie Soft,' which enables you to wrap your baby in a very soft material that will keep him comfortable all night long. This diaper is available in size 5 and comes in 52 counts per package.Pros: It is very cozy and comfortable for the babies, and it also has good absorbency. The Pampers Baby Dry claims to keep your baby three times drier against the leading value brand. This is because of the diaper’s three layers of absorbency that keeps wetness away day and night (ordinary diapers only have 2). This diaper has flexes in its sides that make it stretchable. This allows for better fit and more freedom of your baby’s movement. The materials of the diaper also guarantee softness inside and out. The sizes N, 1, and 2 of Pampers Baby Dry also has a wetness indicator, prompting you if it needs change. This feature is particularly helpful to avoid unexpected leaks or discomfort. Average of 0.19 grams less after 3 typical wettings over 15 min. The Seventh Generation Baby Diapers, are diapers that are biodegradable and eco–friendly, which promotes the sustainability of our planet. The diaper also underwent a chlorine-free process and is unscented and free from latex and petroleum based lotions that can be harmful if released into our waters. This particular diaper also offers premium protection from wetness and leaks, letting him sleep all night soundly and dry for 10 hours. The core has a new technology that keeps the liquid away from your baby and your mattress. Seventh Generation Baby Diapers also have a stretchy back gather that makes the diaper fit rightly on the legs of your baby but also allowing for optimum flexibility. The diapers are also made of very soft materials, giving an almost cloth-like feel. Allnites Overnight Baby Diaper is specially designed for a long and comfortable wear for your baby. It provides 12 hours of leakage-free protection with its side panels that have liquid resistant leg cuffs. It also has an extra absorbent core to ensure the dryness of your baby’s skin. The particular diaper has a stretchable waist that makes a snug fit, giving your baby an easy and free feeling. What’s more is that it has a hypoallergenic inner layer that contains vitamin E, natural botanicals, and aloe to keep your baby’s skin healthy. The Allnites Overnight Baby Diaper has a size 3 for babies weighing 16-28 pounds, size 4 for 22-37 pounds, and size 5 for 27 pounds and more. It is very cheap compared to other leading brands, but its performance can be comparable. With all the advantages and disadvantages, our pick for the best overnight diapers among these excellent choices is the number 1 item - Huggies Overnites Diapers. The cost of this diaper is average, but its performance is good to excellent. Although they are not perfect, the technology in this product tries to deliver what it promises, a dry and comfortable sleep for your baby. Now that we are in the last part of this article, I hope the parents out there had fun while reading this important information about the diapers of our babies. Then we discussed the Best Overnight Diapers that can be found in your local stores. Although this list is not exhaustive, you can be assured that all of the items here are excellent in their respects. Thank you for reading and if you have questions, kindly address them in the comment section, and we will try to answer it as best as we can. Suggestions and Recommendations are also welcome and much appreciated.